About 20% of India’s population are disabled (Census 2011) compared to a world average of 15% (WHO). India has 5 Million people with severe visual impairment (Census 2011) and about 25 Million who have some form of visual disability (UN). Enabling these visually impaired to be independent enhances their self-esteem and opens up ample opportunities to them for being productive. We at InnovationHub Technologies strive to make this a reality with our Vision of “Enhancing Quality of Living” especially for those who do not have the means. With a strong emphasis on Research and Development, we are committed to developing Mobility and Navigational aids for the visually impaired. Our solutions are driven by simplicity, ease of use and affordability. Vinod is an entrepreneur and technologist. He is the founder of InnovationHub Technologies, a firm focused on Enhancing Quality of Living for people with limited means. He believes in building technology based solutions to assist people with disability to ease their life. After graduating with a bachelor’s degree in Electronics and Communication engineering from Nagpur University, Vinod served as scientist at prestigious Tata Institute of Fundamental Research, Mumbai. Vinod moved on to further his academic studies and received a master’s degree in Electrical Engineering from Indian Institute Of Technology, Kanpur to pursue has passion for research and technology. 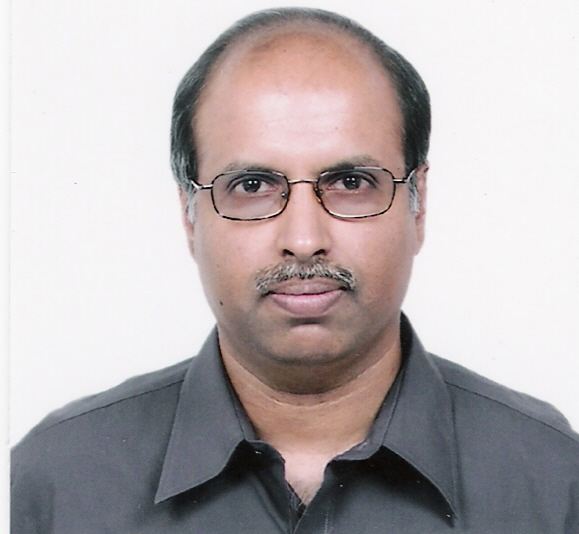 Upon graduation, Vinod joined newly formed R&D arm of WIPRO, the first significant computer system design and manufacturer in India. The company went on to achieve significant revenue and transformed them into Global R&D services organization providing R&D services to global organizations. Vinod founded design centre in USA for WIPRO in early 90’s.. 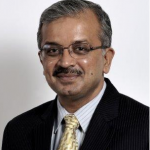 In 2000, Vinod joined Mindtree as Sr. Vice President. The company went on to achieve significant revenue, profits and an IPO. Vinod believes in creating value through technology assets and he brought Mindtree into leadership position in shortrange wireless domain, specifically in Bluetooth technology. Vinod was head of R&D services business as President & CEO at MindTree when he decided on his next venture in Social sector and founded InnovationHub Technologies. Vinod’s greatest passion is technology and applying it for social cause. He is driven by the desire to make a positive impact through scaling pragmatic new technology solutions for betterment of people with disability. He also is passionate about social entrepreneurship. Vinod holds a Bachelor of Engineering degree in Electronics & Communication engineering from Nagpur University, Nagpur, and Master of Technology from Indian Institute of Technology, Kanpur India. Padmanabhan (Paddy), an engineer by heart, a technologist and a hobbyist, is a founding member of InnovationHub Technologies Private Limited, along with his longtime colleague Vinod. Driven by his interests in Electronics right from his school days, Paddy completed his BE in Electronics & Communication Engineering with Honours from Madras University in 1984. His passion for technology and research motivated him towards completing his Masters in Electrical Engineering from Indian Institute of Technology, Kanpur in 1986. Paddy joined Wipro’s R&D as a campus recruit in 1986 and went on to hold several positions there. 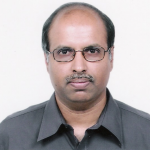 He was involved in the development of intelligent peripheral controllers during his initial years at Wipro. Subsequently he was responsible for designing high end processor and memory subsystems. In 1990, he moved on to build capabilities in VLSI Design and helped to grow this as one of the larger strengths of the organization. He has been a part of some of the industry wide initiatives in the chip design area. Paddy joined Mindtree Ltd in 2000 and has been involved in building its Hardware and IC Design capabilities. He has been responsible for bringing in the tools and methodologies in these areas and has incubated multiple Silicon IP initiatives. He has served as a Senior Vice President addressing the Semiconductor market and also as Technology Evangelist at MindTree’s R&D Services Business. Paddy had actively involved with various initiatives of the India Semiconductor Association (ISA). He served as a Core Committee member of Technovation initiative of ISA, its Technology Special Interest Group and the National Semiconductor Vision Group. He had been a member of the Embedded Technology initiative taken up by NASSCOM. He has served as an Expert Committee member for the past 10 years to select the best pan India student project in the VLSI / Hardware areas, instituted by Cadence Design Systems. Paddy believes in putting his technology skills to use towards social causes, thereby making a positive impact to Enhance the Quality of Life of people with disabilities. Janakiraman (Jani), acknowledged as an authority in Information Technology Business, has over 35 years of experience in IT Industry. Driven by his interests towards social causes and making a difference to people with disabilities, Jani found synergy with the vision of InnovationHub Technologies and joined the founding team. He is the Co-Founder and Chairman of Nuvepro Technologies, a Cloud Product Startup enabling IT as a Service (ITaaS) for its customers. For the past seven years, Jani is also serving as the President for Indo Japan Chamber of Commerce and Industries (IJCCI). IJCCI promotes business partnership between India and Japan and has more than 90 Indian and Japanese member companies. 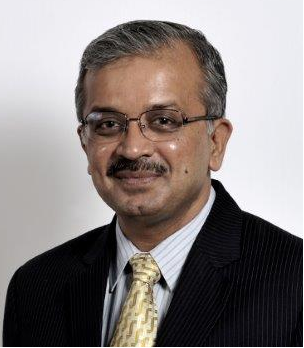 He is on the Board of Yokogawa India Ltd as an Independent Director. Jani is the Chairman of Advisory Council of StartupXseed, an investment organization seed funding technology startups. 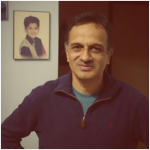 A Charter Member of The Indus Entrepreneur (TiE) – Bangalore, Jani is supporting promotion of startup eco system and entrepreneurship and is actively mentoring few Startups out of Bangalore. Earlier to Nuvepro, Jani, along with nine others, Co-founded Mindtree Ltd in 1999, currently a $600 Million IT Services organization based out of Bangalore. Jani had played various roles at Mindtree including President and Group CEO of Product Engineering Services Business and Chief Technology Officer (CTO) of Mindtree, in addition to serving as a Board Member till Oct 2014. One among the first five employees, Jani started his professional career at Wipro and spent 19 years there. He was the Chief Executive of Wipro’s Global R&D division during his last four years there, prior to Mindtree. Jani is the founding member of India’s Semiconductor Association (ISA) and served its Executive Council for the first five years and later two years as Chairman and Advisor of ISA (currently called IESA). Jani’s holds a Bachelor’s degree in Electronics and Communications from the National Institute of Technology (NIT) Trichy, India and a Master’s degree in Electrical from the Indian Institute of Technology (IIT), Chennai, India. He was recognized by NITT as Best Alumni through an award for his Entrepreneurial Excellence.